MICs Group of Health Services is proud to announce that hospice care services are available through each of our hospital sites. Patients, their family and friends are able to enjoy conversation, music, TV, free wireless internet, and access to our outdoor space. 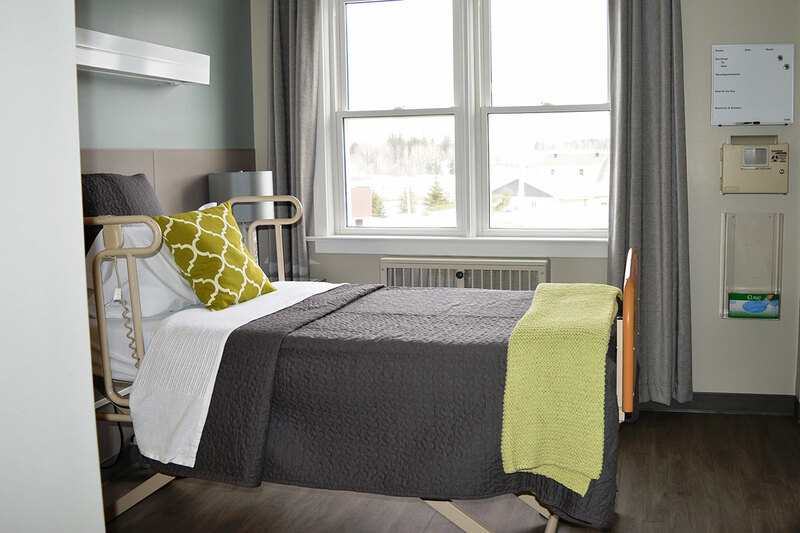 We encourage bringing in items such as photos, pillows and blankets that will help the patient feel at home. 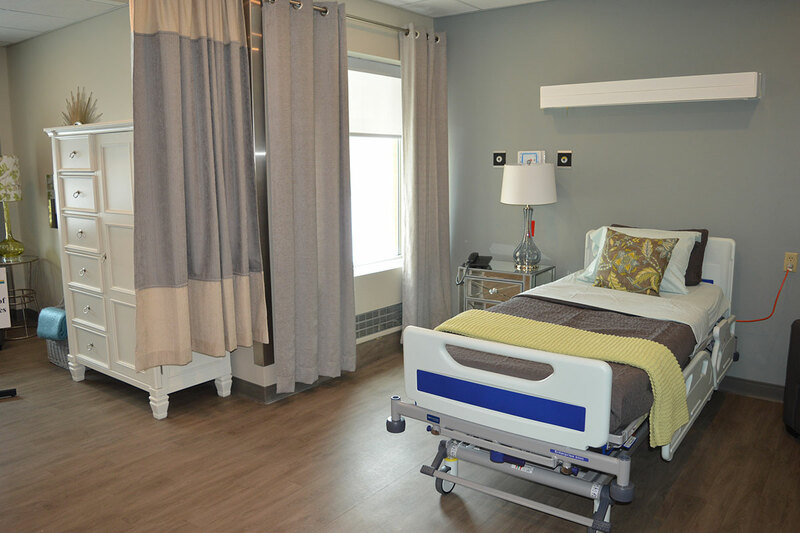 The hospice suite offers a small supply of snacks and beverages for family and friends each day. We ask that you help keep the area clean. Our goal is to ensure that patients and families feel as comfortable as possible. Please consider the following to ensure everyone’s safety and comfort. We ask, for the comfort of all patients and families, that all visitors refrain from wearing perfumes/colognes or bringing in fragrant flowers. Hospital environments can contain organisms resistant to common antibiotics. When these organisms are present, we must prevent them from reaching the patient. Hand washing is the most effective way of reducing transmission of organisms. Ensure that you wash your hands before entering and upon leaving the patient’s room. We encourage family and friends to visit at any time. They are also welcome to stay overnight. Please speak with the Care Transitions Coordinator if you would like your pet to visit in hospital. Alcohol for the patient may be brought into the hospice with prior approval from the palliative care physician. Alcohol can be provided by the family and stored and dispensed by nursing staff. 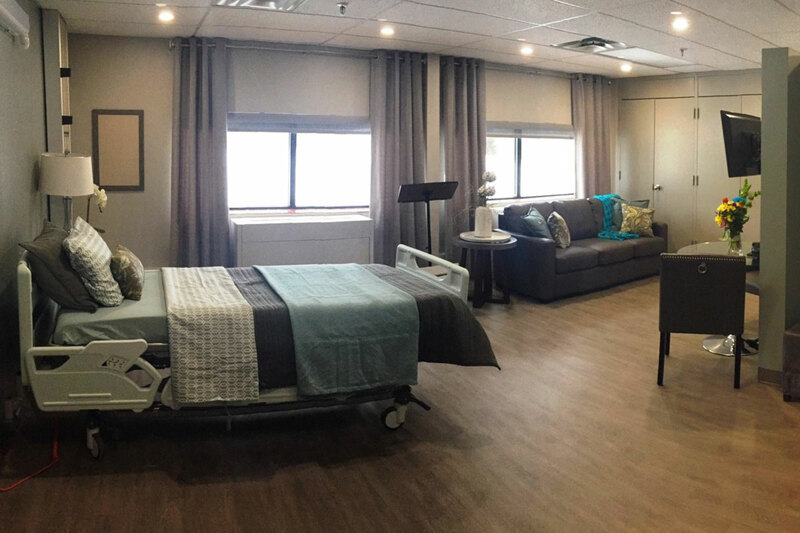 Patients in the Hospice Suites are cared for by a Hospice Care Team consisting of physicians, nurses, dietician, physiotherapist, pharmacist, social worker and a care transitions coordinator. The Palliative Care Team provides care, compassion and support and can help guide you and your family through all the challenges, changes and difficult decisions you are facing. Our care is defined by your hopes, priorities, comfort and quality of life. A physician will be assigned to your care for the duration of your stay. Physician coverage is provided 24 hours per day, 7 days per week. At MICs, we also offer the support of our palliative care champion doctor. Twenty-four hour nursing care is provided in the suite. If you have any questions about care available, your nurse will provide you with the information. Referrals can be made to your personal faith community. Our social worker can provide support to patients, families and friends as they address issues of loss, grief and death. Referrals to a variety of additional support services are also available. Our team will work with you to relieve your symptoms. It is important for you to ask for help when you are in pain. If you are considering a formal request for medical assistance in dying, you will need to speak with your physician or nurse practitioner.